Why Hire At Your Side Planning? At Your Side Planning is a full service wedding and event planning, design and coordination company located in San Diego, California. We have been planning events for over 14 years in San Diego as well as Hawaii, Mexico and Orange County. Our team consists of dedicated day coordinators, designers and assistant coordinators. Each team member has the passion needed to make your day the best it can be. Each detail will be attended to, every question will be answered. Your day is our priority. At Your Side began in 2004 as Ah Le Party and has since planned hundreds of successful events. Why should you hire At Your Side Planning? With a combination of proven event and wedding planning expertise, design originality and execution, At Your Side stands out as a top notch company. 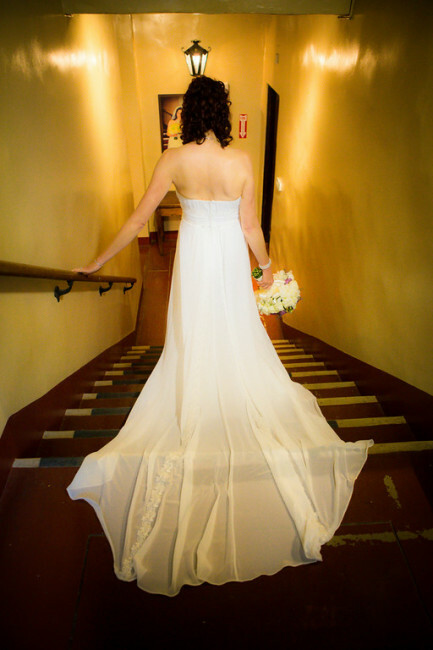 At Your Side Planning proudly maintains 5 star reviews on Wedding Wire, Google, The Knot and Yelp. As ‘Ah Le Party’ in 2011, At Your Side was voted Best Wedding Planner in San Diego and placed in the top 3 Best Wedding Planners in San Diego in 2012, 2013 and 2014 by the 10News Alist. At Your Side Planning has been featured in San Diego Style Weddings Magazine, Exquisite Weddings Magazine, A Practical Wedding, Project Wedding, My Wedding Reception Ideas, Modern Jewish Wedding as well as Wedding Wire Rated year after year. We promise to provide our expertise, best vendors, great pricing, impeccable design and more importantly, a one of a kind wedding styled with you in mind. We will save you money by referring the vendors that we know will fit within your budget and style. We pass along vendor discounts as well and do not take commission instead of your discount. Discounts alone save our clients hundreds! We streamline the planning and selection process to help you save on time, your most valuable asset. For Partial and Full Service wedding packages, we create a specific planning timeline with your schedule in mind. Not only does our team have valuable experience, but credentials, as well. Diana Romero, owner, as well as Kendra Grant, Yvonne Mountain and Michelle Andreoli, have acquired their Meeting and Event Certification through San Diego State University’s Extended Studies after obtaining their Bachelor Degrees. Diana Romero has Interior Design education which translates into the most beautifully styled weddings and events. Robin received her Bachelor’s Degree from The University of Phoenix in Business Management with an Emphasis in Hospitality and Tourism and has many years of experience in the hotel industry. Abigail Castro is currently pursuing her Bachelors Degree in Hospitality and Tourism through San Diego State University. Our team creates a clear and concise plan for your wedding or event planning package. We present everything in a very concise planning timeline and provide reminders to help throughout the process. We are the vendor liason for your event so that you spend less time worrying and more time enjoying the experience. Everything is presented in a clear and concise way so that you feel reassured about the process and your plans! We are at your side every step of the way, answering questions and providing you with a stress free process that is enjoyable and fun! With over 14 years in the planning industry, we will provide you with the absolute best planning experience. We are multicultural and are experienced in many event types including but not limited to Christian, Catholic, Jewish, Indian, Vietnamese, Chinese and Palestinian. At Your Side Planning has enjoyed planning many corporate events, as well. Our stylized photo shoots have been featured in a multitude of magazines and online blogs. Each team member has background in many types and styles of events. On top of experience, the At Your Side Planning team members strive to make your event the best it can be, and take pride in the opportunity to put a smile on your face.